​words by Fiona Symington-Mitchell. Photos courtesy of Cannon & Cannon. FROM an idyllic childhood in the farming wilds of Norfolk to his latest venture of a Meat School at London’s Borough Market, Sean Cannon has changed how we think about British charcuterie. He talks to us about the food revolution being led by British artisans and the importance of buying local. 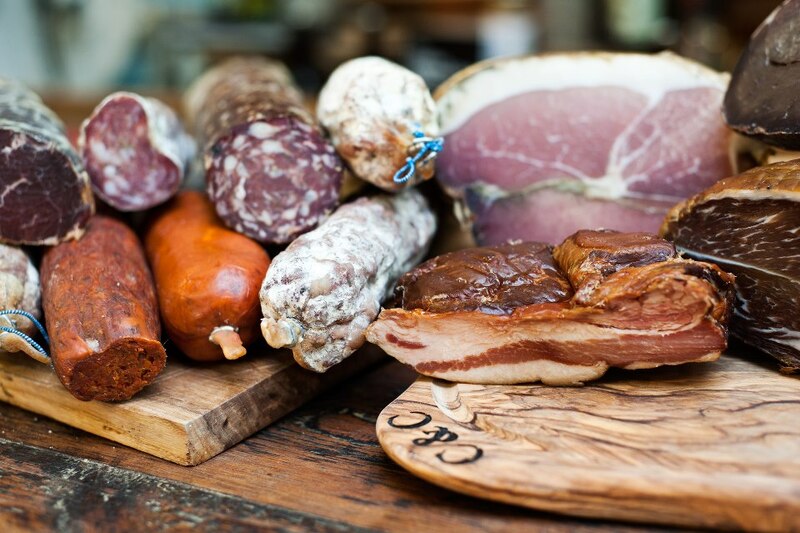 In London, Cannon & Cannon is a name synonymous with British charcuterie. In fact, Sean Cannon and initially his brother Joe have been at the forefront of its renaissance, working with British artisans across the country to bring the very best of this British produce to restaurants and markets. Since Joe stepped away from the business Sean has partnered with Ed Smith of Rocket & Squash fame and Jamie Wallace to grow its wholesale, retail, catering, education and online business. 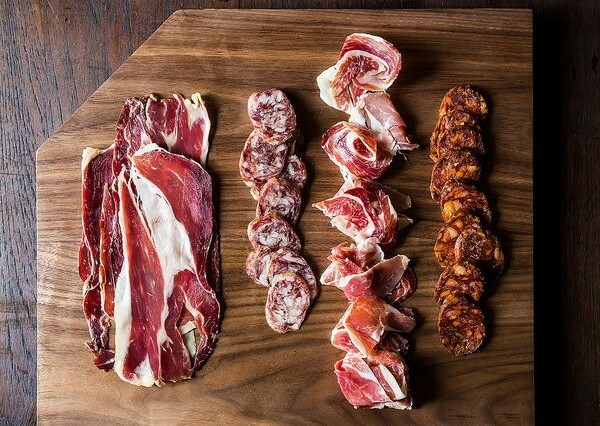 “What makes British charcuterie different is that we have the best meat in the world and secondly, we have no limits to how we can innovate,” says Sean Cannon. “There are great curing traditions in Europe but they are somewhat beholden to tradition. Here our producers are starting a new British tradition and that is really exciting. 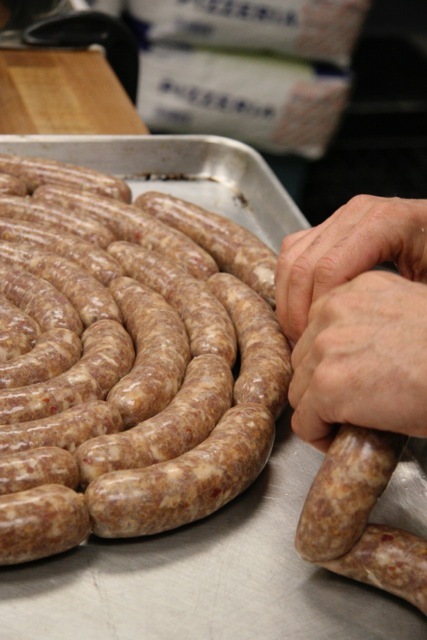 So what you get are some extraordinarily innovative products that haven’t been seen before, that are all based around the very best meat from quality, slow-grown livestock and the local flora, fauna and game." 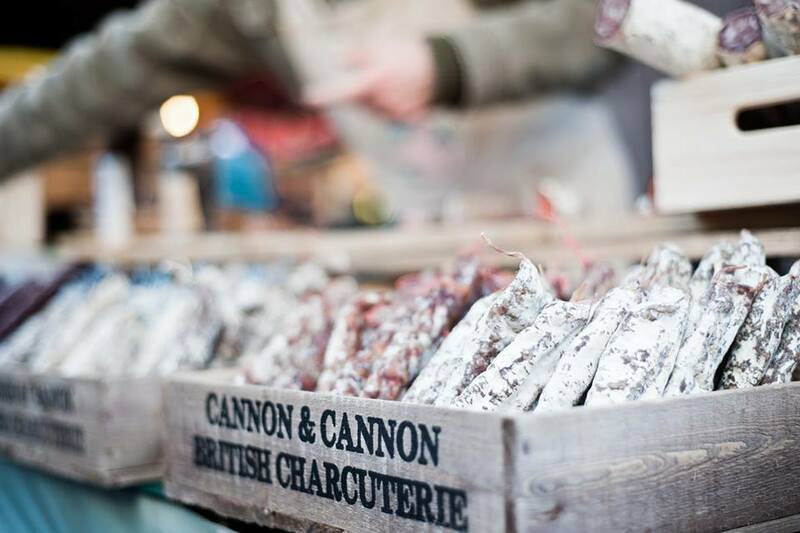 Since launching in 2010, Cannon & Cannon has grown from a single market stall at London Borough market to a retail space at Brixton Market (now a separate business) to its current offering that includes a home back at Borough Market and three other market stalls around London, wholesale, catering and restaurant supply, as well as a newly opened Meat School and a growing online presence. 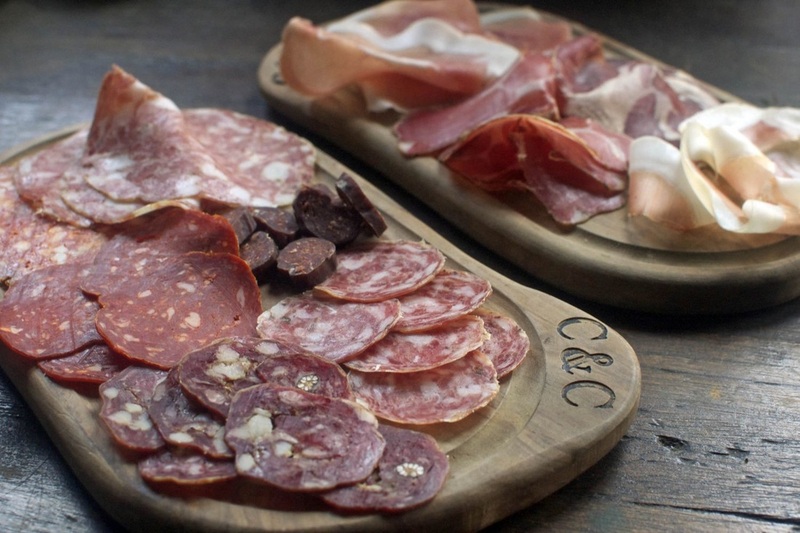 So successful has been this resurgence of British charcuterie that in October last year, Cannon & Cannon signed a deal with Fuller’s Brewery to supply a selection of its pubs. “Suddenly, it was undeniable that British charcuterie was moving into the mainstream; that people were conscious of it and big companies wanted to work with it.” Similarly, a dedicated window at iconic Selfridges to market British charcuterie (as a part of its Meet the Makers project) in July last year only further exemplifies what Sean describes as the growing appetite for locally produced food. And the producers that inspire him? Cornish Charcuterie is one. Based near Bude Cornwall, Richard and Fionagh Harding take inspiration from their surroundings using local spaghetti seaweed, cider and and their own Lop pigs to produce a salami “that is using all local products and the flavour is wonderful”. 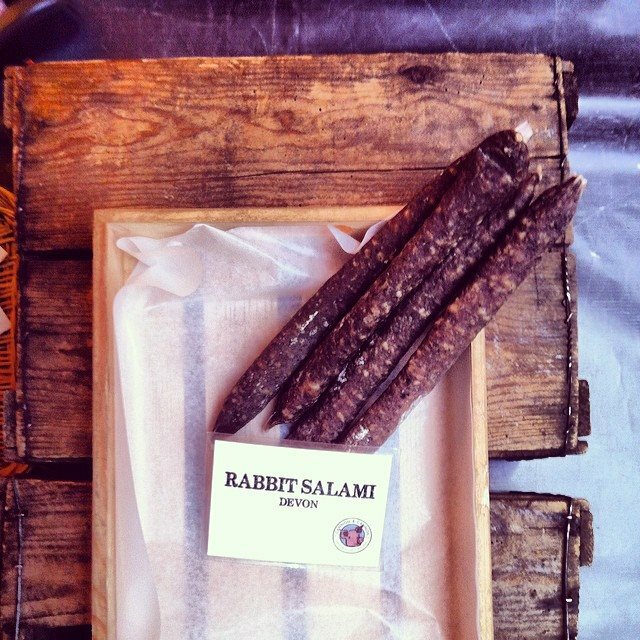 Sean is also a fan of Native Breeds in Gloucester in particular Graham and Ruth Waddington’s rustic style of curing- “Graham uses the whole muscle to give his charcuterie a real distinctiveness of flavour”. You can find Cannon & Cannon at London Borough Market, Kings Cross Real Food Market, Rosewood Holborn Slow Food Market, and Herne Hill. Details of its Meat School can be located here. The biggest change is the demand for artisan foods. We are just waking up in time to understand that we are in real danger of losing our artisans, smallholdings, and farming communities. We live in a country with extraordinary produce. We have the ability to grow and raise anything we wish to here and there is so much to enjoy and explore. We must maintain that and we must support our local producers and buy local. Hugh Fearnley-Whittingstall and Jamie Oliver for their focus on the future of food in this country and their unashamed use of themselves as 'brands' to push forward real change. 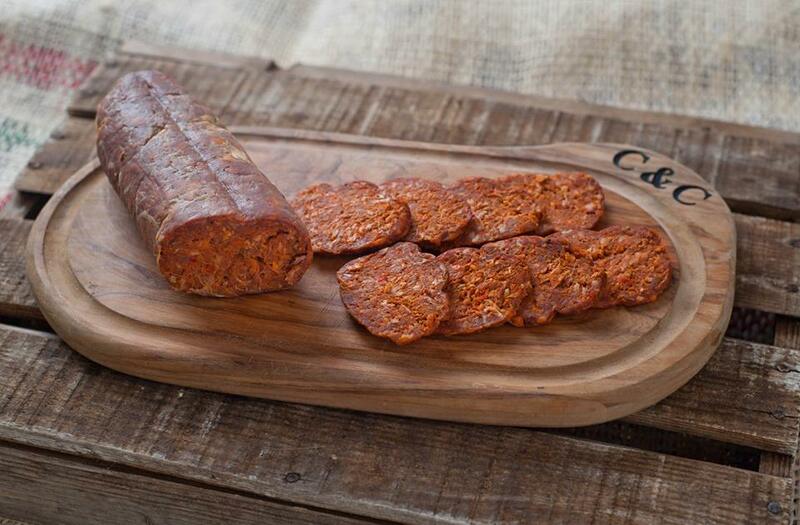 Nick Vadasz of Vadasz Deli’s fermented pickles go great with charcuterie. I also like Hackney-based Blackhand Food. Hugo Jeffreys makes absolutely delicious charcuterie. I’m also a huge fan of Bermondsey based Kappacesein Dairy and particularly their hard-pressed cheese. You’ll always find that in my fridge. If you want to get to the heart and soul of London food, it’s happening around Bermondsey. So on a Saturday morning, do Borough Market, Spa Terminus before doing the Bermondsey beer mile. People are coming from all over the world to understand what is happening here in London. It is a very exciting time to be a part of the food and drink scene.